Dr. Anand Srinivasan is a board certified fellowship trained orthopedic surgeon and a native of Toronto, Canada. He is a specialist in hip and knee reconstruction and replacement surgery. Dr. Srinivasan trained at the most prestigious orthopedic institutions. He completed medical school at Jefferson Medical College in Philadelphia, Pennsylvania, during which time he received training at The Rothman Institute. He completed Orthopedic Surgery residency at Baylor College of Medicine in Houston, Texas. During this time, he also completed an elective fellowship for Hip Preservation and Hip Arthroscopy at Inselspital in Bern, Switzerland. Dr. Srinivasan also completed a fellowship in Adult Reconstruction at Rush University Medical Center in Chicago, Illinois. 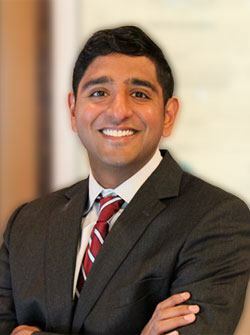 Over the last ten years since becoming a physician, Dr. Srinivasan has focused on hip and knee replacement surgeries in order to provide cutting edge care to his patients. He has performed over 600 joint replacements, including an extensive number of anterior approach hip replacement and minimally invasive knee replacement. Dr. Srinivasan remains an active member of the American Academy of Orthopedic Surgeons and American Association of Hip and Knee Surgeons. He also teaches Orthopedic Surgery residents and Joint Replacement fellows, and serves on a national committee to review the latest scientific literature for the American Academy of Orthopedic Surgeons. He currently is a Clinical Assistant Professor of Orthopedics at The University of Chicago. My primary goal is to restore my patients to a better quality of life and level of function through surgical treatment of hip and knee pathology. I reconstruct the arthritic hip and knee as well as previously replaced hips and knees that are failing. My main focus is on minimizing the time of patient recovery through surgical approach and the use of computer-assisted technologies. New approaches such as anterior hip replacement cut zero muscle and minimize recovery time. I strive to personalize my approach to each patient, rather than approaching patients with a "cookie cutter" mentality. This applies to the operating room as well, where I balance more established, durable technologies, with newer advances in hip and knee replacement, based on a patient's individual goals. In my spare time, I enjoy playing tennis, swimming, and spending time with my wife and two young sons. 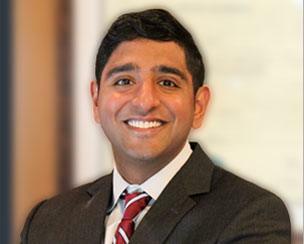 For more information about Anand Srinivasan, MD.